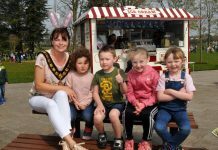 Armagh City, Banbridge and Craigavon Borough Council have been out and about throughout the Borough, visiting schools and local businesses celebrating Fairtrade Fortnight 2019. 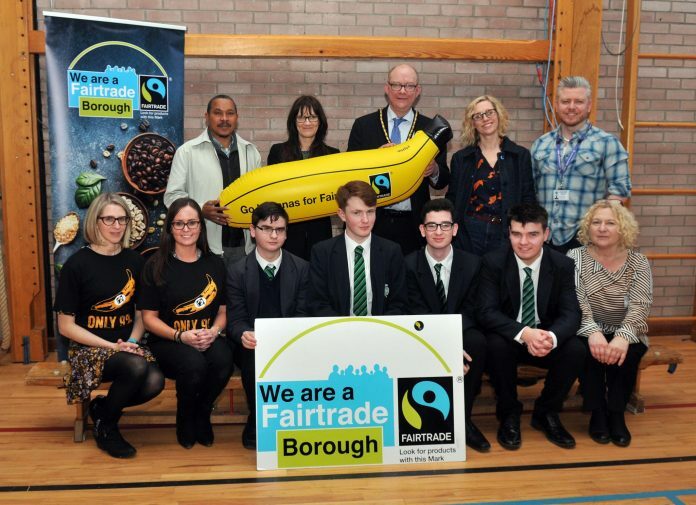 Council’s Fairtrade Team have been actively promoting the global benefits and impact of Fairtrade to over 500 pupils, encouraging the younger generation to choose Fairtrade products. 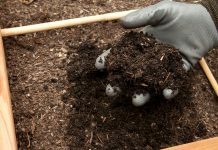 The Fairtrade Foundation are instrumental in organising the two-week national campaign, which ran from 25th February and 10th March 2019. Their main aim is to raise the profile of the farmers and workers who grow our food and share their stories. Key Council collaborative events during the Fairtrade Fortnight included a unique interactive school assembly at Lismore Comprehensive School, supported by Starbucks Banbridge Outlet Store; with the schools Eco Ambassador outlining the importance of Fairtrade. Fabulous Fairtrade student artwork and baking produce competition entries were all on display with winners being presented with Fairtrade chocolate and certificates. Fairtrade Ireland were also present emphasising their involvement in finding local markets for Fairtrade products and how they work with producers and communities in developing world to build better lives and futures. Special guest was Blas Arismendis Marcelino, an innovative Fairtrade Banana producer from the Dominican Republic, who gave a presentation to the students on how Fairtrade has directly benefited him, his family and local community and how there is continued progress towards gender equality involving more women in Fairtrade production. Speaking at the event, Deputy Lord Mayor of Armagh, Banbridge and Craigavon, Councillor Paul Duffy, outlined Council’s commitment to meeting the goals of Fairtrade, the progression of Fairtrade initiatives and the retention of our Fairtrade Borough status. Throughout the event there was fantastic music by the school choir and local singer/songwriter Mons Wheeler with dancing by the school’s very own Banana Man! 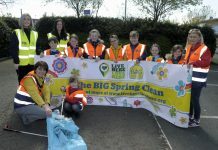 Other significant Council collaborative events that took place across the Borough included Rathfriland High School Fairtrade Assembly plus Year 10 & Year 12 Class Presentations, Mountnorris Primary School P6/P7 Class Presentation and Council attending the Agenda NI Agri-Food Conference 2019.
or the Environmental Services Department on 02838 312400.